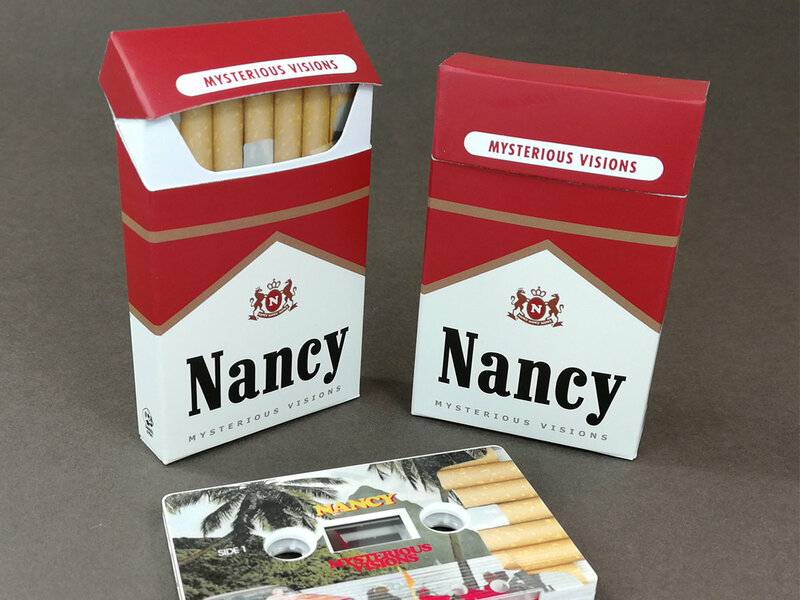 Extremely limited run of 'Mysterious Visions' on full body printed cassette in a bespoke 'Nancy' cigarette style carton, shrink wrapped and with sticker. Enigmatic songwriter NANCY shares debut single Teenage Fantasy, a mammoth statement of intent that firmly delivers on the hype surrounding the mysterious new performer. Bursting onto the scene with a unique cover of namesake Nancy Sinatra’s “Bootz (Are Made for Walkin’)”, the budding artist has since been discovered by B3SCI/Cannibal Hymns with plans already afoot for their ‘Mysterious Visions’ debut EP release on 9th November. Raised in subdued North East England, NANCY is draped with a moniker that was once the punchline of many jokes throughout an upbringing with pop music as the only escape and in this first release, these vivid influences strongly come to the fore. A tantalising slice of dream pop, “Teenage Fantasy” and its swirling, psychedelic overtones drip in euphoria with several luscious melodies and a distinctly modern twist on retro influences providing a welcome taste of what is to come. 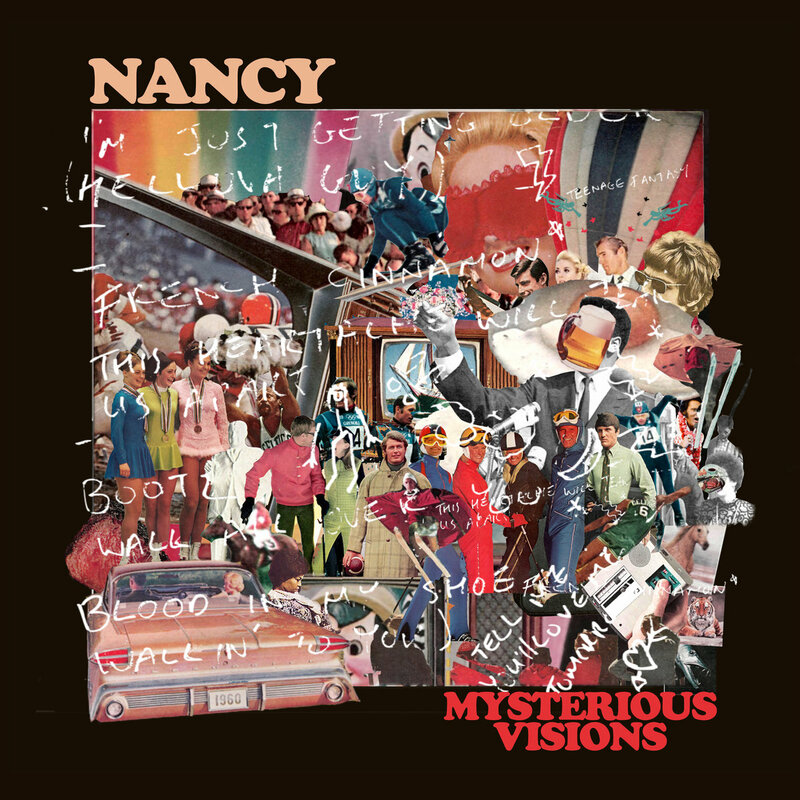 NANCY’s ‘Mysterious Visions’ EP is out via Cannibal Hymns (Dream Wife, Our Girl, Underwater Boys) and B3SCI Records (Jungle, INHEAVEN, Trudy and the Romance) and will be available on all digital platforms and limited edition ‘cigarette style carton’ cassette tape. 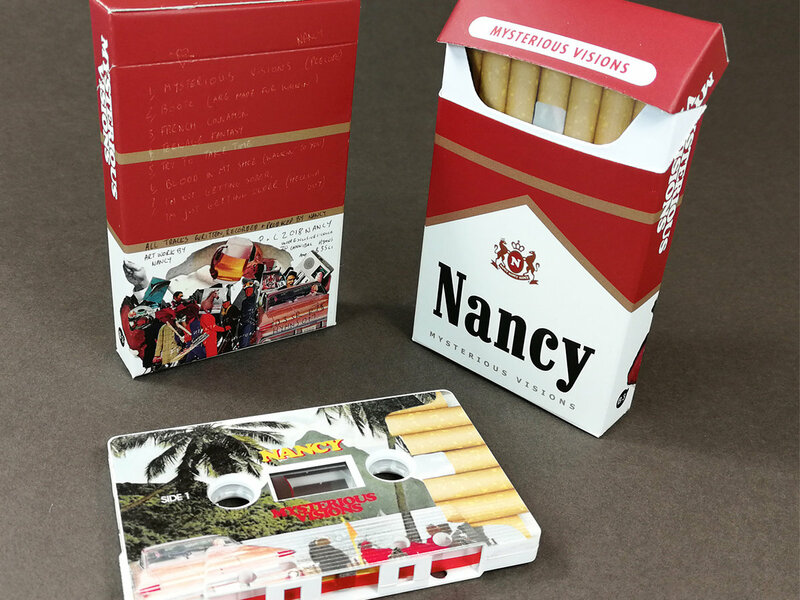 Detailing the limited edition cassette release, NANCY revealed: “I produce, record and mix my music. I shoot, animate and edit my videos and I create my artwork and all packaging. This is my world and I’m trying to describe it to you so I need to be fully in control of my art form, down to the finest details, to me the way your music is packaged is crucial to the overall effect. Like cigarettes, my fantasy world is highly addictive and probably bad for you”.